Teaching People How to ACT! Whether the ACT user is an individual or a small business, I enjoy talking to people about how they use ACT. Regardless of the type of business, there are certain fundamentals that make ACT easier to use and keep organized. 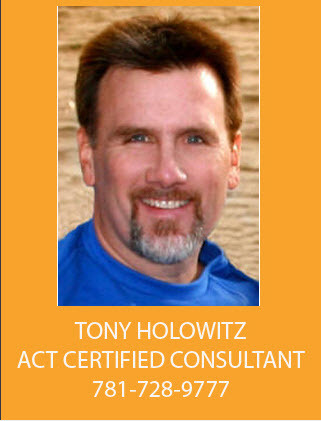 When working with my clients, the first thing we do is discuss what you are trying to accomplish when using ACT. Are you a salesperson or sales manager? Are you an individual or entrepreneur? Are you the owner of a company that uses ACT? In my opinion the best way to make the most out of ACT is to completely forget about ACT. One of the first questions I’m going to ask is what are your goals for your business or organization? It is easy to teach you how to use ACT, but it takes a little time to get to know you so I can understand how to make ACT really productive for you. To start, I offer all of my clients some free time so you can tell me your story—tell me how you would like to ACT. At times I might seem like I am an ACT consultant. Other times I will try to put myself in your spot and imagine how I would use ACT if I were you? It all starts with a discussion about your needs.